Protecting your eyes doesn't have to cost a lot. Protecting your eyes from the sun doesn’t have to cost the earth. A Consumer NZ test of 60 sunglasses, ranging in price from $2 to $270, found cheap sunnies that provided UV protection as good as that provided by expensive pairs. Consumer NZ chief executive Sue Chetwin said the 60 sunglasses were bought from a range of stores and tested against the Australia and New Zealand Standard for Sunglasses and Fashion Spectacles (AS/NZS:2003). Forty-eight pairs met all the standard’s requirements. Twenty-two of these glasses were priced at $20 or under. 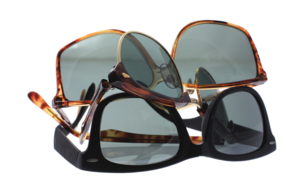 “These products provided good eye protection and met the requirements for sunglass construction so you should get reasonable wear out of them,” Ms Chetwin said. However, 12 of the 60 sunglasses did not meet the standard. The standard is voluntary in New Zealand but mandatory in Australia. Six of the pairs that failed were bought at discount stores. Some failures were minor and the glasses did not present a risk to the wearer. But others were more serious. One of the pairs that failed was the children’s brand Nickelodeon Dora the Explorer SUDO74157. Due to the lightness of the lens, they didn’t provide enough sun-glare blockage so should be labelled fashion spectacles, not sunglasses. The distributor said it would remove the product from shelves and carry out additional tests. A $10 pair of women’s sunglasses bought at Coin Save also failed. The right lens in these glasses was visibly darker than the left, which may cause a wearer to misjudge the distance of moving objects. A $2 pair of men’s glasses bought at a discount store had a major failure. The glasses didn’t meet the protection requirements for UVB and the left lens was also visibly darker than the right. The store has removed the glasses from sale. “Most of the products in our test claimed to comply with the standard. Some claimed to meet other standards, such as those in the EU or US. But sunglasses that meet no standard at all can also be sold here,” Ms Chetwin said. Consumer NZ advised looking for sunglasses that comply with the Australian and New Zealand standard, are comfortable to wear and don’t distort your vision. Glasses with large lenses or wrap-around frames are best. A broad-brimmed hat can also help block UV rays from the eyes. Ms Chetwin also advised consumers to be wary of sunglasses claiming they are “UV400”. According to the New Zealand Association of Optometrists there is no accepted definition of “UV400” and it’s little more than marketing spin. Consumer NZ believes the Australian and New Zealand standard should be mandatory. We've published a full list of sunglasses that met and didn’t meet the standard in our test.